Leanne received her Bachelor of Arts in Music from Sonoma State University followed by her Master of Arts in Music Therapy from University of the Pacific. She has also received a Master of Divinity from Pacific School of Religion. Leanne received her clinical training in music therapy from Northern Oklahoma Resource Center in Enid, OK and was Board Certified in 1997. She has completed a PhD in Music Therapy from University of Kansas. Leanne started at Northern Oklahoma Resource Center in Enid, OK as a music therapist after her internship. She worked with teenagers and adults with severe to profound developmental disabilities. Leanne has worked as a music therapist for San Joaquin County Mental Health on the locked inpatient unit, the Veterans Home of California in Yountville, and for Dignity Health in Carmichael. She is also an ordained minister (Disciples of Christ) and is completing her training to do Music Therapy assisted labor and delivery (doula). 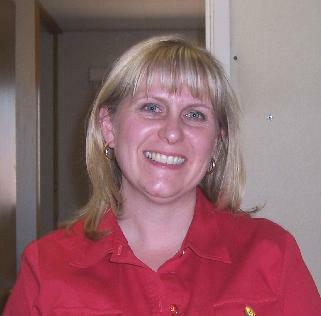 Leanne is also a certified infant massage instructor and does work with Youth Groups. Leanne's primary instrument is the flute. She enjoys swing dancing (Lindy Hop), reading, baking, sewing, and spending time with her dog.